Thomas is an artist who's lost his way. 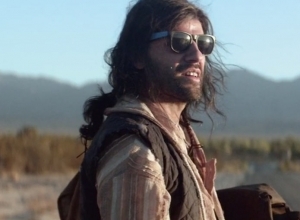 Seeking solace he goes into the desert and crashes his car where he meets in dark and illusive man who eventually reveals that his name is Jack. Jack follows Thomas back to LA and is instantly taken in by his privileged life as an artist. Jack begins to stalk Thomas and threatens to expose Thomas' secret in a bid to take a piece of his seemingly comfortable lifestyle. Pitted against one another and in a battle that threatens to take both men to the edge, it will soon become clear who's really willing to fight for their life. 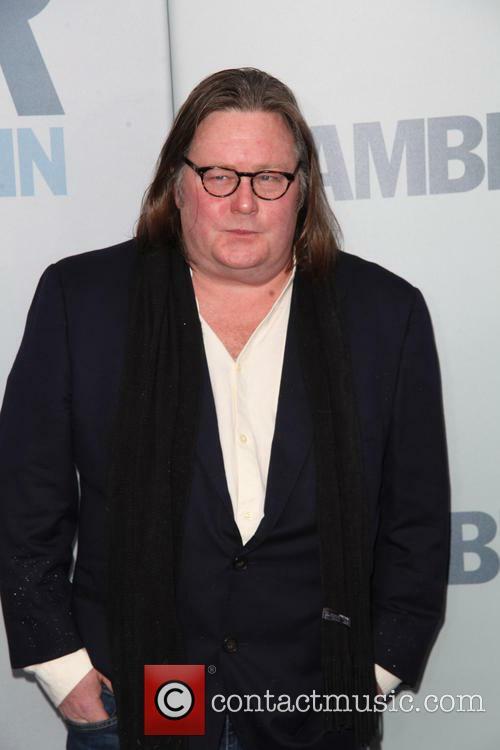 Mojave was written by The Departed writer William Monahan. With a strangely simplistic screenplay by William Monahan (The Departed), director Rupert Wyatt and his cast struggle to dig beneath the surface in a meaningful way. Mark Wahlberg does what he can in the lead role as a self-destructive gambling addict, but since he's never remotely likeable it's impossible to care what happens to him. It's decently made, but without strong characters or a resonant message the movie ultimately feels like a vanity project that's gone wrong somewhere along the way. 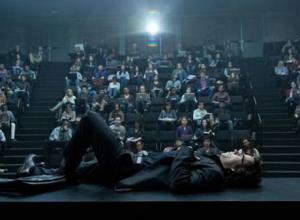 Wahlberg plays Jim, a swaggering university professor who torments his brightest student Amy (Larson) in front of the whole class. But she knows that he's also unable to pass a blackjack table without losing a small fortune. And it's probably money he owes to someone. Indeed, he's accruing such severe debts to a gangster (Michael Kenneth Williams) that he turns to his millionaire mother (Jessica Lange) for help, knowing that if she gives him the cash he'll gamble it away before settling his accounts. 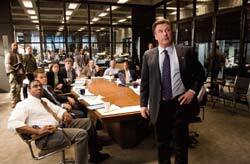 So he also turns to tough loan shark Frank (John Goodman), who stresses to Jim the importance of paying up and getting out of the betting world for good. But Jim seems incapable of even a shred of self-control. It's virtually impossible to connect with a character this one-sided. Aside from his literary intelligence, there's nothing remotely redeeming about Jim, so it's difficult to escape the feeling that he's getting just what he deserves. And it gets worse when he starts romancing Amy, a nubile girl barely half his age. Wahlberg never plays Jim as anything but an unapologetic loser who has orchestrated his own misfortune. So why should we care what happens to him? At least the side characters interject a bit of complexity, most notably Lange and Goodman, who command the entire film with just a couple of scenes each. The usually terrific Larson barely registers in an underwritten role that makes very little logical sense. Mark Wahlberg is set to star in Christmas Day's remake of 1974's 'The Gambler', and despite being a fan of the original, he reveals how he was excited by the fresh script. Remaking and rebooting older films is the bread and butter of modern Hollywood. Once in a while, a filmmaker decides to approach a previously known work in order to retell the story in a different way or look at the same themes from a different angle. Sometimes, this approach will land a screenwriter with a serious prize, as William Monahan discovered when he adapted Hong Kong's 'Infernal Affairs' into 'The Departed' and won an Academy Award for Best Adapted Screenplay. 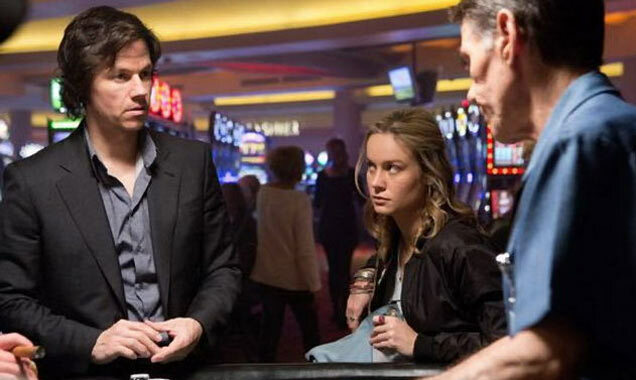 Monahan has returned to write the screenplay for a remake of 1974's 'The Gambler', and lead actor Mark Wahlberg (who also starred in 'The Departed'), couldn't have more praise for the writer. "I mean, I was a really huge fan of the original" said Wahlberg, "but I felt that Bill Monahan did a really amazing job of bringing something different to it." Based on the 1985 BBC TV series, also directed by Campbell, this dramatic thriller tries to pack so much into two hours that it ends up feeling thin and repetitive. But it's great to have Gibson back on screen. Veteran Boston cop Thomas (Gibson) is trying to rebuild his relationship with his scientist daughter Emma (Novakovic) when she's viciously gunned down. Everyone suspects Thomas was the real target, but his investigation leads him into a conspiracy involving her job with a monolithic defence contractor run by the shady Bennett (Huston). Then he meets government clean-up expert Jedburgh (Winstone) and starts to realise the extent of what's gong on. Can he blow the whistle before they rub him out too? No matter their talent, actors, directors, producers, and editors will always have difficulty overcoming a flawed script, and William Monahan's Body of Lies screenplay is broken beyond the point of repair. A bewildering mishmash of double-crosses, cover-ups, and clichés, Monahan's treatment unfortunately undermines some terrific performances and a solid outing for director Ridley Scott. 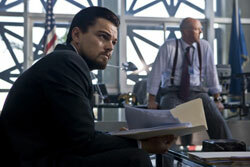 Lies is based on Washington Post columnist David Ignatius' 2007 novel about CIA agent Roger Ferris (Leonardo DiCaprio), a well-trained operative on a deep-undercover assignment to track the elusive Al Qaeda terrorist leader Al-Saleem (Alon Abutbul). Dubbed "the white whale," Al-Saleem has been plotting suicide bombings on European and American soil to avenge the blood spilt by U.S. and U.K. troops in Iraq and Afghanistan. Just as Spike Lee took a basic caper and added his own pet issues to elevate Inside Man to the upper echelons of its genre, Martin Scorsese has taken The Departed, based on an intriguingly simple premise, to its own heights by infusing issues that have concerned him ever since Mean Streets. Along the way, he makes room for some memorable performances, not the least of which comes from the most likely of sources. The Departed is based on the Hong Kong blockbuster Infernal Affairs, in which a cop goes undercover in the mob while the mob places one of their own as a mole in the police force. In Scorsese's version, the scene shifts to Boston, where mob boss Frank Costello (Jack Nicholson) puts loyal-from-boyhood employee Colin Sullivan (Matt Damon) through police training. As Sullivan rises through the ranks, Special Investigations Unit chiefs Queenan (Martin Sheen) and Dignam (Mark Wahlberg) recruit rookie Billy Costigan (Leonardo DiCaprio) to get "kicked off" the force and do time to gain Costello's confidence. I'll be the first to admit that I'm a dead sucker for big-battle hero pictures, but these days, movies like this are released every month. 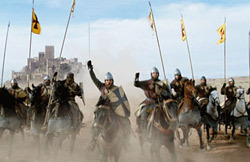 And coming from Ridley Scott, who is one of the real standard-setters for flicks of this ilk, I'm going into Kingdom of Heaven with high expectations: I want a hero who tugs my heart strings, a love story that moves me to tears, a villain who makes me seethe with hate, and action that gets my pulse racing. Judging from his body of work, Ridley Scott obviously likes a good hero story, too. But, sadly, this, his latest epic hero film, is without one key ingredient: the hero. And as he's the director and the producer of this disappointing monstrosity, he's got no one to blame but himself. All of this happens before the opening titles.